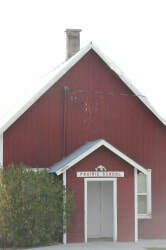 ​Prairie Elementary School District is located in the small community of Prairie, Idaho. We are about 50 miles from Mountain Home Idaho via Highway 20 and Anderson Ranch River Rd., or 50 miles from Boise via I-84 and Blacks Creek Rd. Our school serves grades kindergarten through eight in a one classroom environment. PRAIRIE ELEMENTARY IS LOOKING TO HIRE A CLERK/BUSINESS MANAGER FOR DISTRICT 191. JOB DUTIES INCLUDE ATTENDING ALL TRUSTEE MEETINGS, KEEPING CONCISE MINUTES, MAINTAINING ALL DISTRICT RECORDS, MANAGING ALL ACCOUNTS PAYABLE, PAYROLL, PREPARING ANNUAL BUDGET, AND ALL OTHER DUTIES DISIGNATED BY THE BOARD. JOB IS CONSIDERED PART TIME WITH 20 HOURS PER WEEEK. "The Prairie School District Strategic Plan & Philosophy of Education"
authority, and discipline in a safe and positive school environment conductive to learning. which they will use to become a responsible, contributing, and participating member of the United States. approved by the Board of Trustees each year.